Play with confidence and fine-tune your skills when you use this Mitre Intercept Netball. 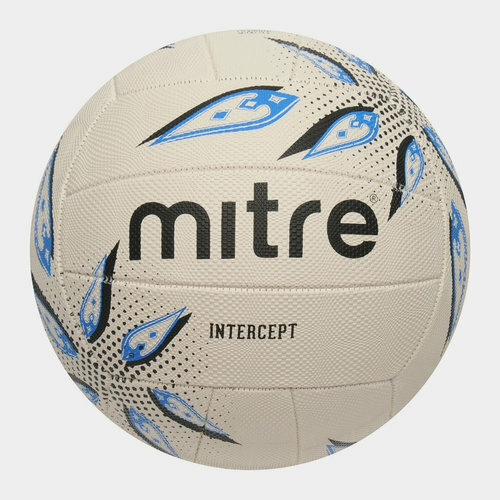 The Mitre Intercept Netball features a soft feel and durable construction making this ideal for training. This ball comes with the stylish 'wave' emboss design which not only looks good but also helps to give the ball added grip and makes it easier to handle. It comes with a white base and a sky blue and navy design. Please note: All netballs are delivered deflated.